In the midst of Baltimore’s worst riots since 1968, Peter Angelos cut right through the smoke and gunshots: our city’s past has created problems in the present. Central to the riots lies the case of Freddie Gray: a 25 year old African-American man who was brutally taken into police custody, slipped into a coma with a severed spinal cord, and ultimately died. The coroner’s cause of death: homicide by severe trauma. With these events, yet another chapter is added to the national conversation about excessive police force directed towards communities of color. Although now catching the attention of the mass media, we must remember that police violence is not isolated to Ferguson, New York, or Baltimore and not solely directed toward the black population. In March of this year, LULAC urged the Justice Department to investigate the deaths of Antonio Zambrano-Montes in Pasco, WA and Jessica Hernandez in Denver, CO. They, like so many black men across the country, were victims of racial profiling and excessive police force. Even though cases of police violence receive strong public condemnation, these cases continue happening. Just last month another unarmed Latino teen was killed by a police officer in Long Beach, California. 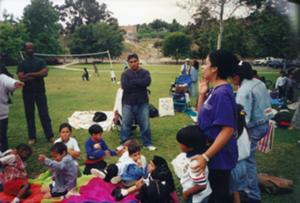 As a civil rights organization, LULAC strives to help Latino communities across the country. In light of the cases in Denver, Pasco, and Long Beach, we have realized that our community is not exempt from violent confrontations with the police. 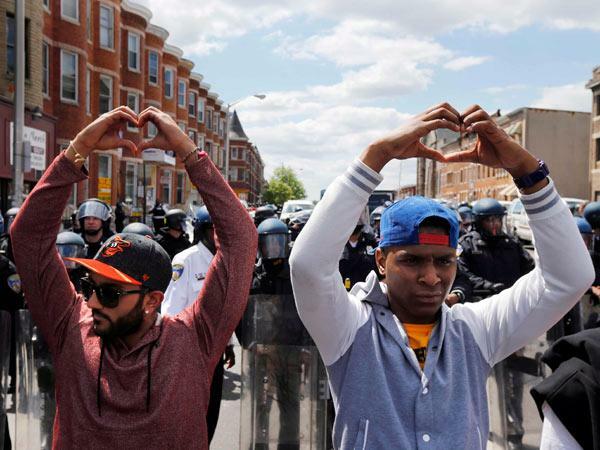 Police violence affects Latinos too – and as an organization of action we stand with the Baltimore protesters’ calls for justice in the death of Freddie Gray. Simultaneously, we must recognize the value of carefully studying the past in order to improve Latino lives in the present and future. Growing up, visiting family, working, and even driving around Baltimore has helped me to understand our city’s difficult past. It’s a story that stretches all the way back to the Civil War, when many Maryland residents were Confederate sympathizers and slaveholders. In the wake of the War, many Baltimore residents were motivated by the same race-based agenda as their neighbors down South. In 1911,the Baltimore City Council passed the first ever housing segregation law, leading to the passage of similar laws in cities like Atlanta, Louisville, and Richmond. Although eventually struck down by the Supreme Court, they were replaced by an informal series of codes designed to contain poor minorities within certain neighborhoods. Why does this matter? Today Baltimore is often referred to as a “City of Neighborhoods” despite the fact that it’s one of America’s most segregated cities. As middle class families and capital began to move to the suburbs in the 1950s and 60s, Baltimore’s decline accelerated racial and economic segregation. Good schools, jobs, infrastructure, businesses, and communities are bolstered by stable households – something Baltimore just doesn’t have much of anymore. According to the U.S. Census Bureau, Charm City has a 23.8% poverty rate – more than twice the national 9.8% average. Today, the few white areas in Baltimore stay white thanks to insulated neighborhoods and private schools. Meanwhile, poor minority areas – like Freddie Gray’s Sandtown-Winchester – suffer from violence, troubled schools, and urban decay. In a city of such stark divisions, it was only a matter of time before riots broke out. That, of course, is not an admission of defeat in the struggle for justice. Sure, Baltimore is my city – it’s Freddie Gray’s city too – but if you look hard enough, you might see something: your streets, your neighbors, and your problems. We must stop looking at the current events in Baltimore as a "black issue," but rather an issue affecting all communities of color throughout the country. If anything, we should let these events be a catalyst for reflection and action. LULAC's Commitment to Giving Students a "Head Start"
Since its conception in 1929, LULAC has advocated on behalf of Latinos who have been marginalized on the basis of ethnic discrimination, as evidenced by LULAC’s mission to advance the economic condition, educational attainment, political influence, health and civil rights of Latinos. 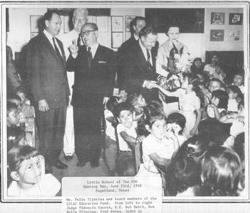 I can attest personally to the benefits LULAC has offered many Latinos as I myself participated in the Head Start program birthed from the Little School of 400 under the LULAC Education Fund in 1957 in Ganado, Texas. The Little School of 400 was an attempt to provide Latino children with a basic understanding of 400 English words that would prepare them to succeed in public schools. The program was very successful in helping increase the academic performance and educational attainment of Latino children who frequently fell behind due to a lack of basic English skills, in addition to discriminatory school policies in place at the time. The success of the program was so apparent to then-Congressman Lyndon B. Johnson, that during his Presidency in 1965, he decided to implement the program nationally as part of his War on Poverty. Even today, fifty years after its conception, the program remains a critical service for low-income Latino families whose children attend underperforming schools in their respective underserved communities. This program also functions as a subsidized day care center with a primer in education, allowing parents to work without worrying about the safety of their children. The Head Start program helped me and my family improve our lives in San Diego, California by providing educational services to me and my siblings and employment to my mother, who began working there in 1997. I started at Head Start in 1996 when I was 3 years old, and the program provided me with the necessary tools to succeed in school from kindergarten to my time in college. Head Start taught me the fundamentals of early education, such as how to differentiate colors and shapes by their names as well as how to count to one hundred. Although I already spoke English, the program taught some of my non-English speaking peers basic English language skills such as vocabulary and grammar. This knowledge reinforced the lessons and material taught to me in kindergarten and better prepared me for my future educational endeavors. Thanks to the “head start” that was given to me, I was able to excel in school and eventually attend the University of California, Los Angeles (UCLA), one of the top public universities in the world. As a direct result of LULAC’s continual commitment to improving the educational attainment rates of Latino children, I became the first in my family to attend college and will be graduating from UCLA in June 2015. LULAC continues to fight for more educational opportunities for Latino students with its programs under LULAC National Educational Service Centers (LNESC). LNESC has sites across the nation that provide computers and internet access to students in underserved communities. Additionally, LNESC also provides support for students pursuing STEM careers and provides scholarships for high-achieving Latino students pursuing higher education. LULAC’s legacy has touched many Latinos, including my family. With the aid of its members, LULAC will continue to fight for the civil rights of Latinos and their commitment will continue to advance the plight of Latinos in the U.S. I will always be grateful for the legacy of LULAC because it has positively affected my personal and professional endeavors, from my early years in Head Start to my current advocacy efforts as an intern at the National Office in DC.